the ‘new’ matches the rules, values- and systems-based criteria that identifies it. In other words, even if buyers need your solution, they can’t buy if the cost of disruption is higher than the cost of the solution implementation. And here is the frustrating part for us: Any change must be initiated, managed, and maintained from within the system because no outsider can understand the nuances of a status quo they are not part of. Here is a rule: until they know how to manage any change that would be incurred as a result of a purchase, prospective buyers cannot buy regardless of need. stable, unique, idiosyncratic, complex, and mysterious (especially to outsiders). The status quo keeps us operating congruently every moment of every day. It doesn’t judge right or wrong; it doesn’t recognize good or bad. It’s just ‘what is’. To become a different ‘what is’ it would have to change. And change means disruption, potentially a breakdown or interruption of normal operating. Although a natural occurrence – we move house, make new friends, take a new jobs, buy new clothes – we won’t substantially change unless we are assured we avoid disruption, confusion, and uncertainty. The norms and values within a status quo have been normalized; right or wrong, good or bad, we function in a pre-ordained way day after day. Anything – anything – threatening this habitual functioning will be resisted. I remember sitting on the floor of a hut in the Ecuadorian Amazon, sharing a meal with an indigenous family. My women travel friends were warned not to smile at the local boys who showed up to stare, as a smile was an invite to bed. After imbibing liberally on the local and highly fermented ‘chi cha’, everyone was drunkenly smiling – a cultural imperative for Americans – and the boys surrounded us like bees in a flower garden. Our host had to usher the swarming, eager boys out, offering a frustrated glare at us en route. The rules of our cultural status quo included being friendly to strangers; the rules of their status quo included avoiding women unless invited. As individuals, our status quo has been formed by our subjective life experiences: the rules, beliefs, and thinking that we learn from our parents and grandparents, our schooling and birthplace, our education and work life, our friends and family. Our life choices, our communication patterns, our choice of mates and jobs all maintain our status quo. Doing anything different threatens our very core. As members of teams, groups, or relationships, our status quo has more moving parts, including individual needs, rules for collaboration and communication, politics, corporate regs, and the historic relationships. For our clients, it’s imperative they maintain their status quo or they cannot get up day after day and run a business. At the point we meet clients they are a walking bouquet of normalized elements that make no sense to anyone outside the group (or even inside the group sometimes). When we try to push change, the offered information is seen as foreign and will be resisted regardless of its efficacy. Until or unless the status quo knows how to add something new in a way that conforms to its baseline (and unconscious) rules, and understands that no permanent damage will occur, it won’t be willing/able to shift behaviors, learn new habits/patterns, or accept new ideas or solutions. In other words, no change can happen. Changing the status quo is a challenge of Systems Congruence; the new must fit comfortably with the habitual so the person or team can continue functioning normally. For buyers, the time it takes them to figure out how to do this is the length of the sales cycle. It’s a systems/change thing, not a purchase/fix thing. But facilitating congruent change hasn’t been part of the sales skill set: with our solution-placement agenda, we limit our prospect population by seeking those who may be ready now or soon; too often we wait (and wait and hope) while those we deem appropriate complete this. We don’t take into account that sellers (or any influencers) are outsiders who can never understand how the status quo is kept in place, or add something to it. Offered too early our data, or pitch, or ‘rational argument’ is not seen as a reason to buy but as threats to the balance of the status quo when it may not be prepared to change. Sometimes our solution is not recognized as being needed because the Buying Decision Team hasn’t yet been fully assembled and needs haven’t been fully elicited. Sometimes they know they have a need but haven’t determined how to change congruently yet, or tried out all of the internal workarounds that might offer a resolution. It’s certainly possible that at the time we’re getting “No’s” our prospects are merely at a stuck stage and can easily move beyond it once they get understanding or internal agreement. When I hear sellers say that the status quo is ‘the enemy’ I know they are attempting to push against it with data, contacts, media. As I said above, nothing – not our brilliant pitches or presentations or charming personalities – from the outside will sway this stable beast. But there is a way to help our buyers facilitate the 13 steps to congruent change as part of our initiative. Instead of spending so much resource seeking only those who are ready (the low hanging fruit), we can recognize, and enter earlier, with those who will buy, and help them shift their status quo from within, using their own values and rules to seek and accept new solutions. It will require, however, an addition to the status quo of the selling model. Let’s begin by understanding how the status quo adopts change (I wrote a book on this. Read two free chapters: www.dirtylittlesecretsbook.com). And, regardless of the size or complexity of the problem, the path to congruent change is the same for all systems. It begins when something within recognizes something awry. It must then find a path to congruent change that includes consensus and change management. Knowing what needs to shift, having ‘good’ data on why the shift is necessary, or having a few elements willing to shift (without complete buy-in) does nothing to create change. There must be a thorough understanding of all the moving parts (i.e. you can’t get where you’re going until you know where you’re at). Rule: status quo must recognize rules, beliefs, norms, that must be maintained before considering change to avoid resistance and systems incongruence. To add anything foreign from the outside, the new must get buy-in from any people, policies, rules, and politics that would be affected. All change must be accompanied by a re-weighting of the norms of the status quo. The status quo itself must know exactly how it will be effected by anything new, and if it’s worth it to spend the energy mitigating itself to adopt. For this, everyone involved in maintaining the status quo must have a hand in defining the elements and understanding how change would effect it. Rule: assemble everyone/everything that makes up the status quo to determine how, if, why, when any change would be required or accepted. Once the status quo is coded, everyone/everything has bought in to change, the fallout from change must be considered and strategized. Change must be systemic and based on the values and rules that maintain it. Certainly no one from outside can cause the change. Rule: every element within the status quo must understand the potential fallout to change, and be willing to consider ways to adapt to, or align with, the new, or it will resist change regardless of the rewards. Unfortunately, the sales model doesn’t include this level of change facilitation; it occurs privately within the buying environment, during what sellers call the Pre-Sales, hidden, and highly personal portion of a pre-buying decision. I developed a model (Buying Facilitation®) that gives sellers a new tool kit to use with sales to manage systemic change and buy-in. I’ve trained it with terrific results for decades. But make no mistake: it’s not a normal part of the selling process. 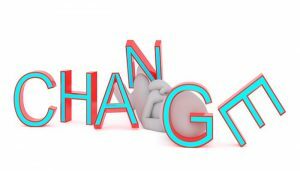 The question is whether or not you want to change: to continue seeking those who have already accomplished this change management, or seek those you can lead through it as a change consultant first. You’d need to avoid gathering data and stop pitching until this has occurred and instead, begin by listening for systems and facilitating change. But then you’d have approximately 40% more real prospects who are ready, willing, and able to buy. Do you want to sell? Or have someone buy? They are two different activities. To facilitate buying, you must enter earlier as a Servant Leader and be willing to first be a change agent. Then you’d find and facilitate the journey with those who really need your solution but haven’t completed shifting the status quo yet. Potential buyers must first do this, with you or without you, as we sit and wait, or miss the opportunity entirely. Instead of seeking those who have already finished this and are in the 5% you can sell to, why not find those who WILL buy, facilitate them through their change, and become part of their status quo. It actually takes less time and closes more. So much easier, kinder, and more profitable than chasing the low hanging fruit. You’d just have to change your status quo.